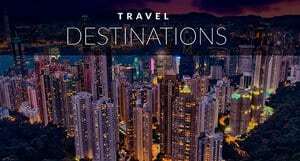 We heard that the Shanghai acrobats of china were some of the finest in the world, but we didn't want to give up a night walking around this exciting Asian city. I'm glad we ended up going. We quickly ran down to the river front to take a few photos of the Shanghai skyline and then hopped on the metro to make our way to the Yun Feng theatre. Are we ever glad that we went! 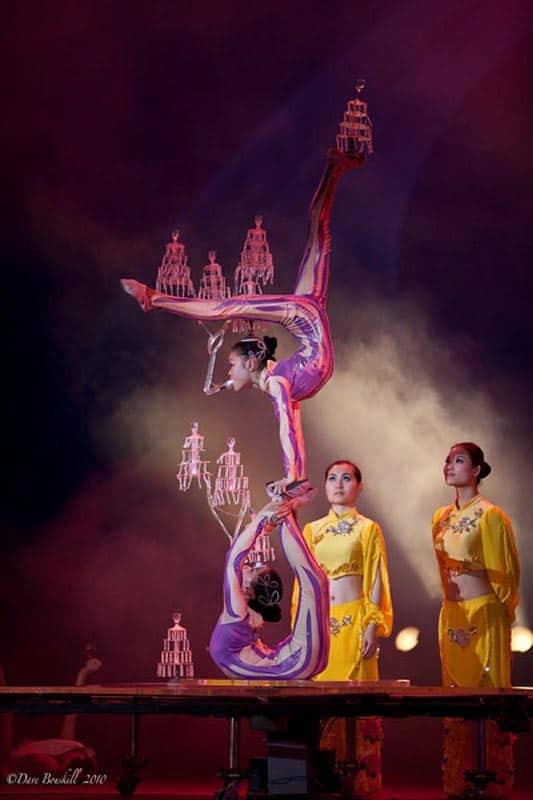 The Shanghai Acrobats of China show was of the greatest spectacles we have ever seen. From the moment it started we sat in our seats with our jaws dropped. Talented performers with great athletic skil flipped around the stage with non-stop energy for a solid 90 minutes. As Kim from Reading Matters said, it all just keeps on coming! 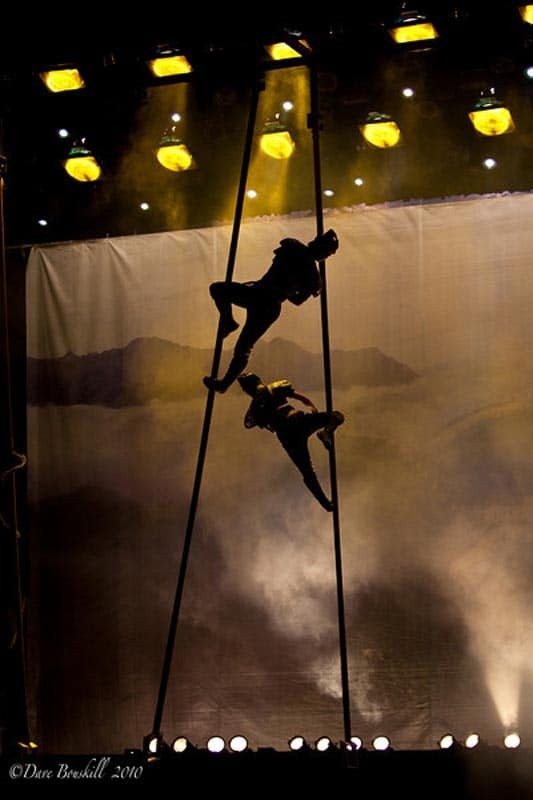 The show started off with an astounding display of skill and balance as a troop of young men swung from metal poles. Leaping through the air, they made the audience gasp with their daredevil moves. They set the bar high right off the top and we wondered how each act was going to top the other. 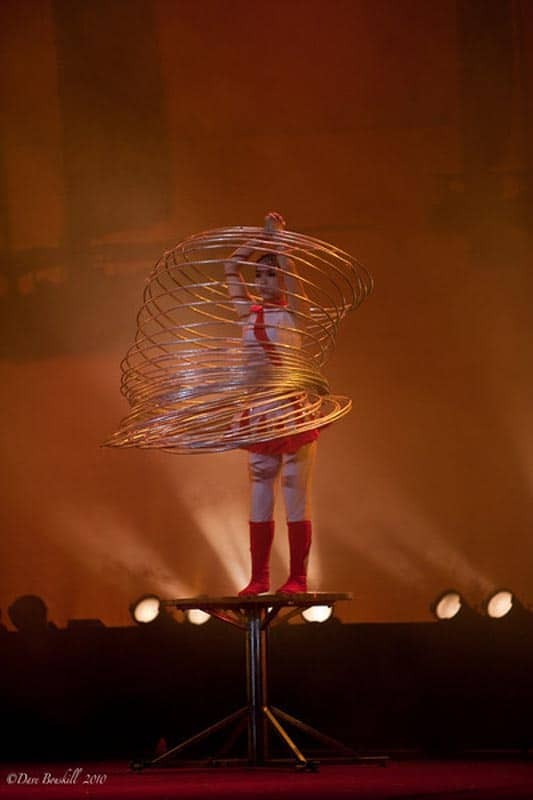 From foot jugglers to balancing on pipes, body contortionists to riders of trick bicycles, these gymnasts kept throwing new and exciting acts at us. The most impressive moment came when a young girl performed an arial ballet. Balancing with one arm on a long pole high in the air, she bent her body in all directions displaying not only amazing grace and flexibility, but outstanding strength and balance. At times, the show was almost uncomfortable to watch as the performers bent their backs in abnormal directions. As I squirmed in my seat, I couldn't take my eyes off of the fascinating show going right before us. The show slowed down for a few moments as a beautiful duet began to Celine Dion's My Heart Will Go On. 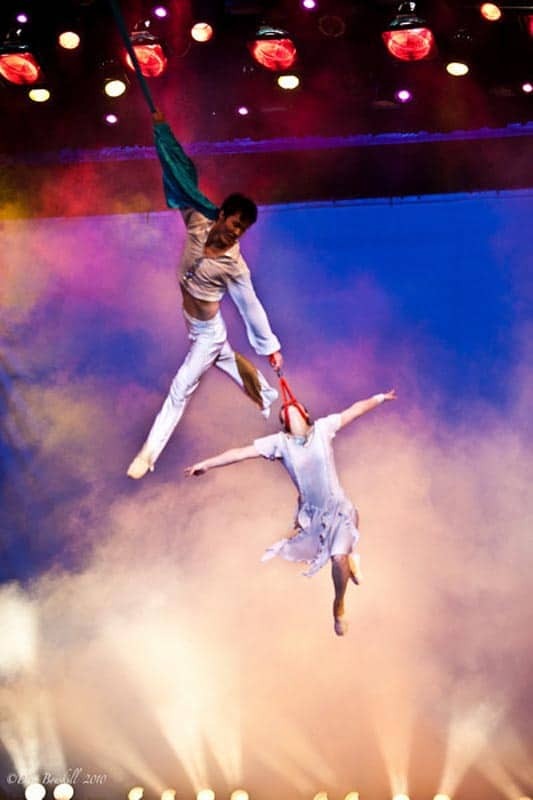 A couple's love story unfolded high above the stage swinging in the silks. It was all at once cheesy and beautiful as the Titanic movie's pivotal scene where Leonardo DiCaprio yells “I'm King of the World” played on the screens above the stage. The performers and gymnasts did their job well and put on a magnificent performance for all. With a balanced blend of artistry and elegance with power and muscular strength. All the glory went to the final act however. 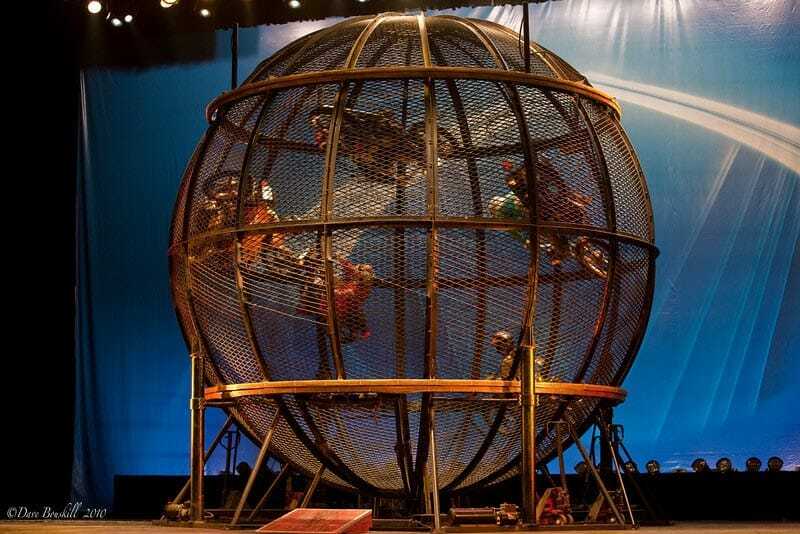 As an incredible show of trick riding went on in front of our eyes where women road bicycles around the stage creating a pyramid of 15 people high, the motorbikes could be heard behind the curtain. We were anticipating the Ball of Death. I have seen this act on TV and in movies, but I have never witnessed it is real life. You've seen it before. The motorcycle that enters the cage of death and whizzes around, up and down at lightening fast speeds. I thought that one motorcycle would be impressive enough, but these guys kept on coming. One after another a new daredevil joined the party on stage. Revving his bike and stopping for a pause at centre stage to accept our cheers and excitement before joining his comrades inside the cage crisscrossing back and for at high velocity defying gravity. It was when a stunning lady came on stage last that I thought, now that has to be the coolest woman in all of Shanghai. She paused to take her bow before joining the 5 other men circling inside the cage and then turned her bike around, revved her engine and finally packed that death trap with one final killing machine. The circled round and round some went up and some went down. I held my breath and prayed that I wouldn't be in the one and only audience that witnessed a dreadful accident…It never happened. Then one by one they cam out of their enclosure, took their final ride around the stage and took off to glory. It was one of the most exciting finales I have witnessed in my life. 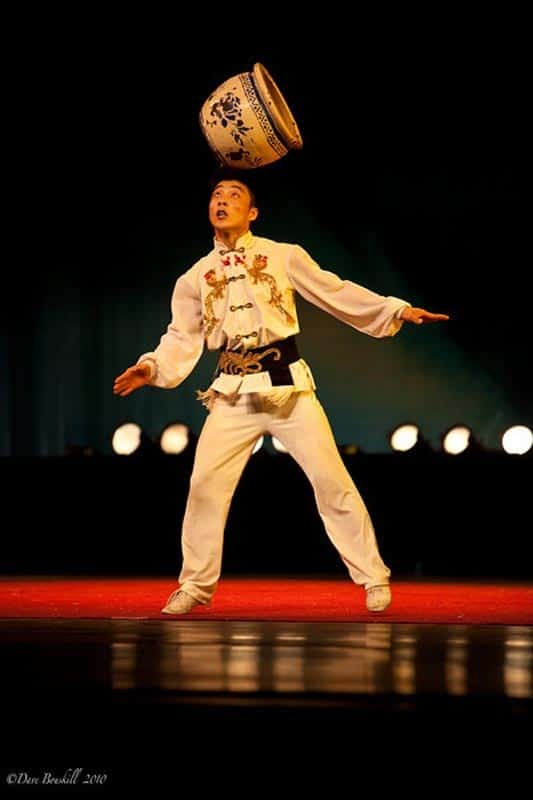 If I have one thing to say about the Shanghai Acrobats of China it is to go see them. It's true, they are some of the best in the world and it is a show not to be missed. I am so glad that we took the night to see the show rather than walking aimlessly around the streets of Shanghai. Besides, it ended early enough that we had the chance to walk back on the shopping street and take in the neon lights of one of the most electrically charged cities on the planet. 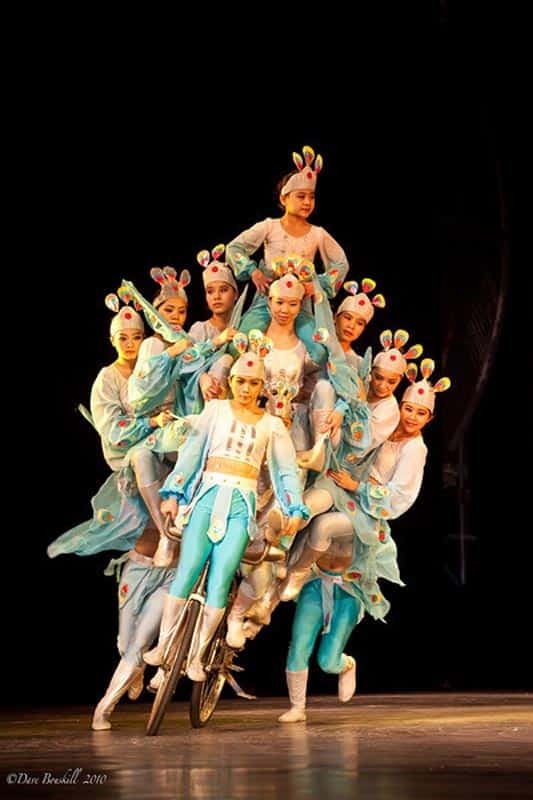 The Shanghai Acrobats are one of the included excursions in the Intrepid Travel Grand China Tour. 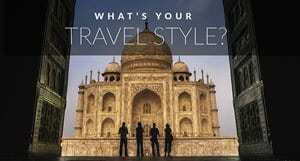 Intrepid Makes sure to include activities in each city that are unique and exciting to the destination. 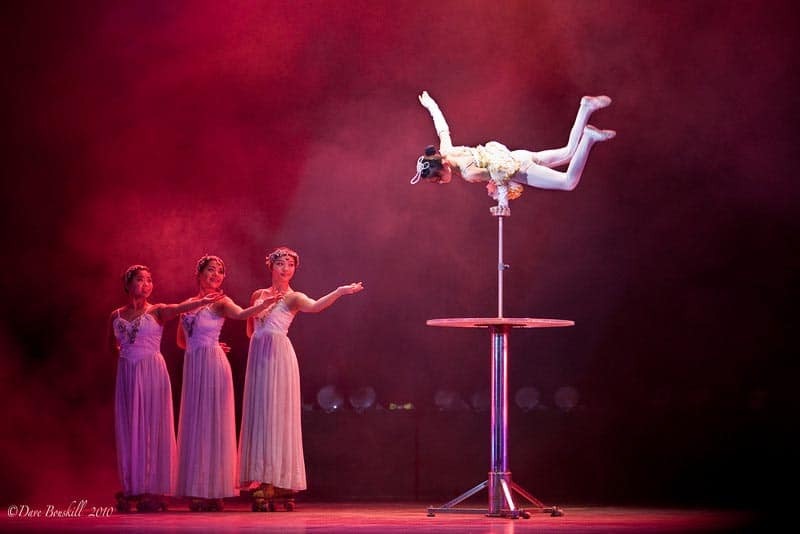 9 Responses to "Shanghai Acrobats of China – An Amazing Spectacle"
Looks like the Chinese give the Cirque du Soleil folks a run for their money. Very impressive. 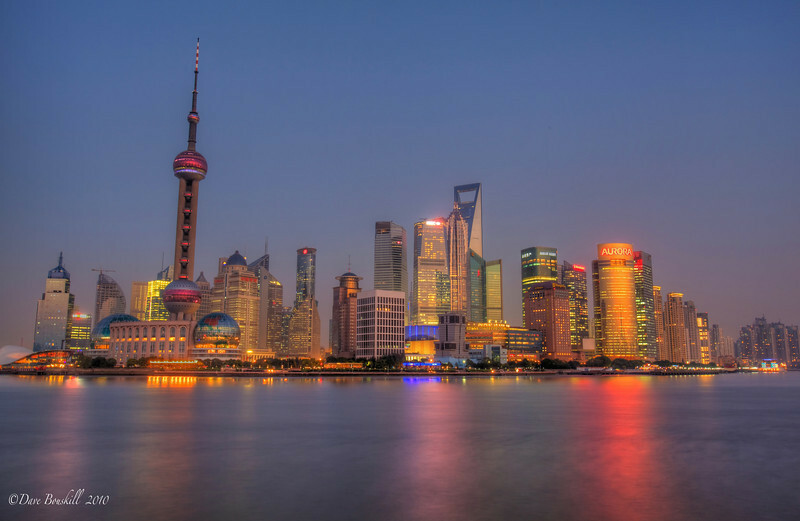 I have seen a lot of pictures of Shanghai but that is the best hands down. 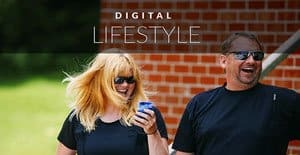 How do we buy these lovely pictures from you guys? Hello D&D! I had only seen you tube videos of these incredible performances! Was the show mostly visited by foreign audiences? Hi Priyank actually, the show was visited more by Chinese tourists. 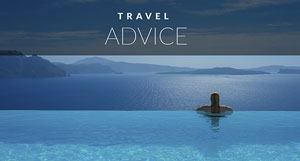 It is amazing how many people are travelling within their own country. There were definitely a lot of foreign tourists but people from China out numbered them.